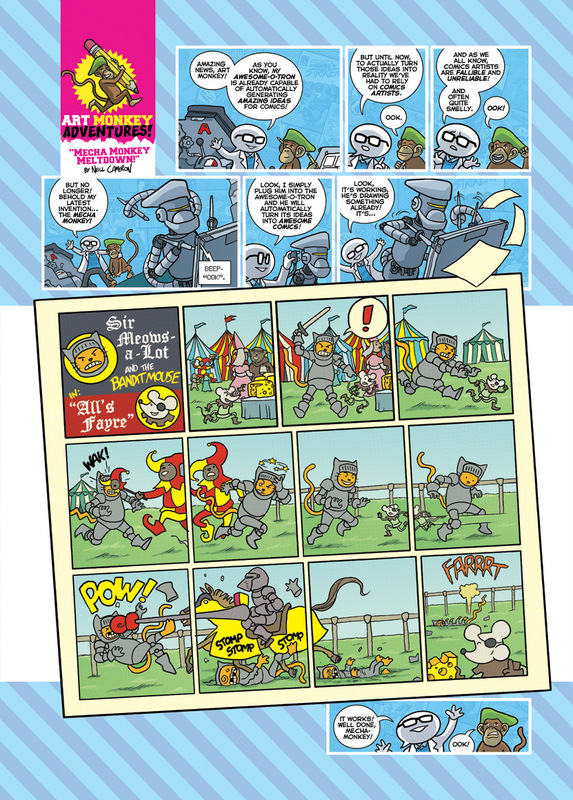 This weekend: Pop-Up Big-Top AWESOME COMICS FUN TIMES! 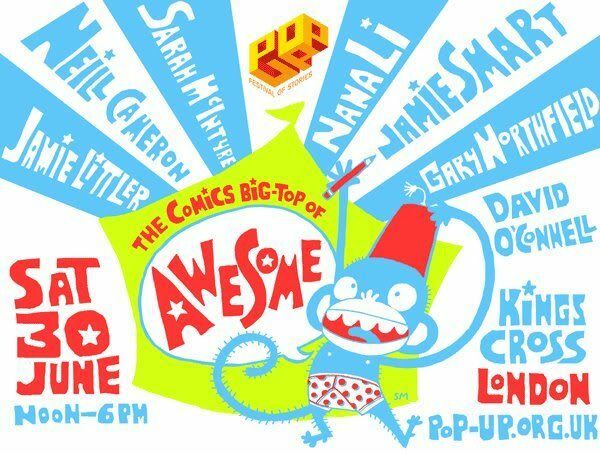 This Saturday (30th June) in central London sees an event I'm frankly quite head-swimmingly excited about - the COMICS BIG-TOP OF AWESOME! Organised by m'colleague, the wonderful Sarah McIntyre (from whose blog I've nicked all the pictures to accompany this post) as part of the fantastic Pop-Up Festival, a weekend of free events and experiences celebrating books, stories and imagination for children, teenagers and families! 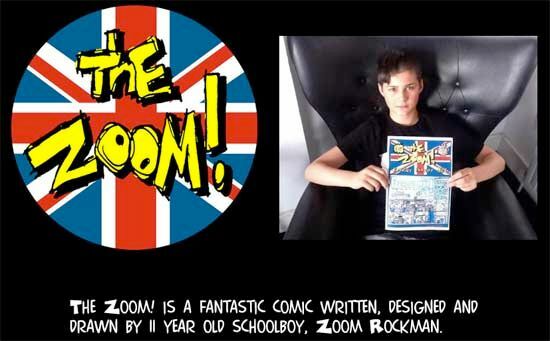 And last but by absolutely no means least, 11-year-old comics-maker extraorinaire, Zoom Rockman! 2:30 - COMICS MONSTER DRAW-OFF! Who can draw the scariest monster? The best-dressed monster? A monster dentist? Monster wedding? Help the pros decide what they're going to draw! 5:00 - COMICS BATTLE! Watch the pros pit their characters against each other for the Final Showdown. And HERE is how to find us! 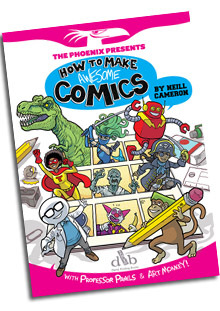 I'm really excited about this, it's so great to see comics for kids being included and given focus as part of such an exciting festival as this, and I'm hugely honoured to get to be a part of it. And I hope to see many of you there! 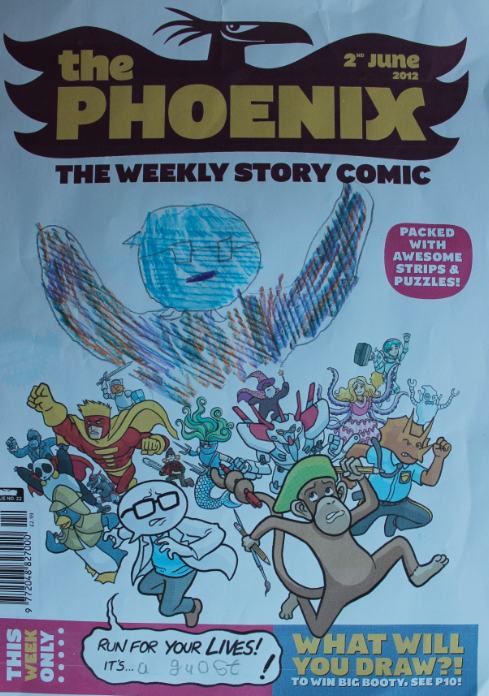 Hey, I just wanted to alert you to this week's issue of The Phoenix, which features a brand new 4-page story by me, the first ever instalment of... Art Monkey Adventures! That's right, those nice editor chaps gave Professor Panels, Art Monkey and me a week off from trying to be 'instructive' and 'educational' and gave us a welcome shot at just being 'really, really silly'. 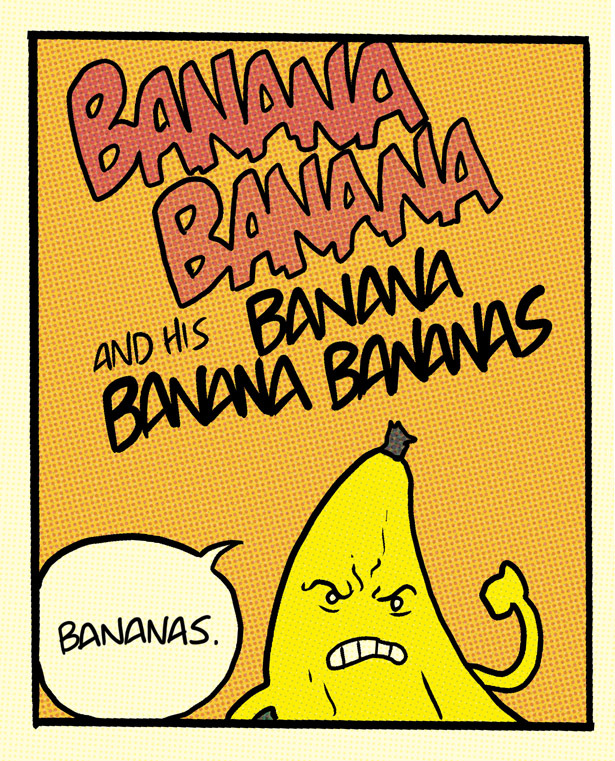 Anyway, it's about as much fun as I've had drawing anything, ever, so I just hope you enjoy it half as much. Oh, you know what? 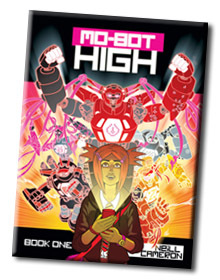 I'm even going to give you a peek at the first page, for free. THAT IS HOW NICE I AM. It's an insanely great issue all round, actually - there's a new instalment of Ben Haggarty and Garen Ewing's beautiful and super gripping The Bald Boy and The Dervish, a brand new story for Zak Simmonds-Hurn's hugely engaging Sky Drifters, and a simply wonderful cover and two-page Gary's Garden strip by Gary Northfield, as well as all the usual brilliance from Smart, Brown, Murphy, Etherington et al that you might reasonably expect. 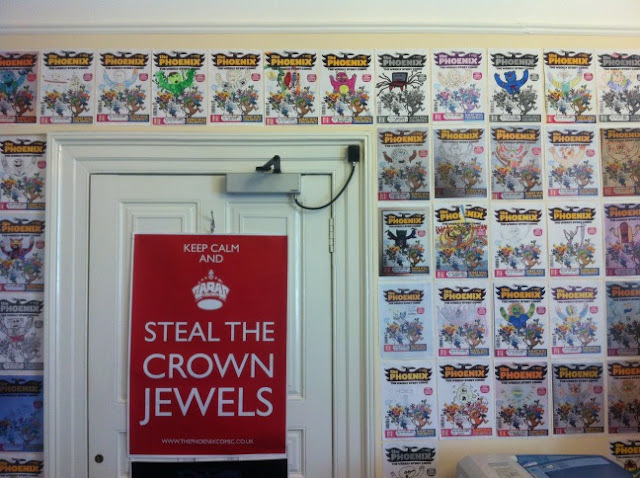 An actual, literal WALL OF AWESOMENESS. 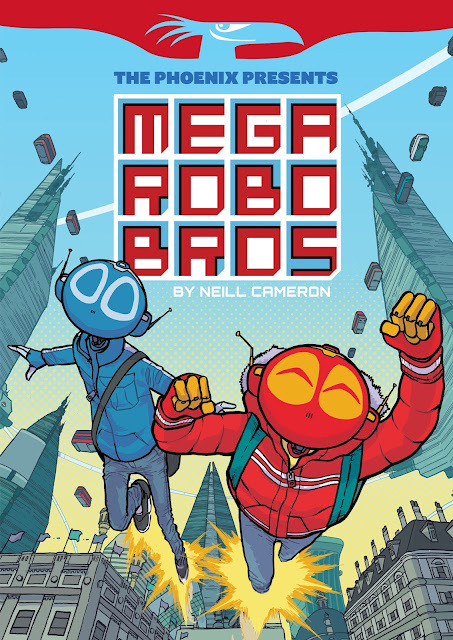 AND while I'm on the subject, go check out these exciting blog posts by m'colleague Sarah McIntyre about a fantastic new comics festival coming to London on 30 June. I shall be posting more about it in a couple of days, so consider this your Awesomeness Advance Warning. 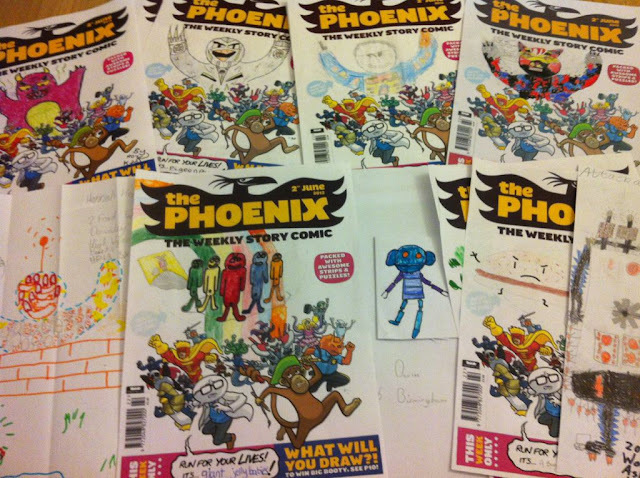 I'm reposting this from the Phoenix comic's twitter account - a shot of some of the entries that have been pouring in already for the Complete-the-Cover Competition I mentioned the other day. Amazing stuff, and amazing levels of craziness, and I'm just delighted that people have been getting into it. 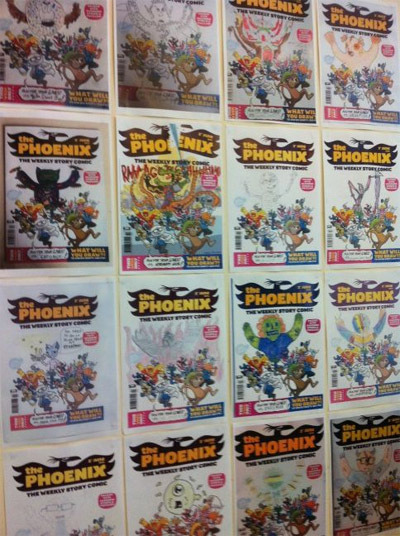 Still PLENTY of time to enter - you've got until 1st July - so head over to the Phoenix website to check out all the details and such!